I (Heather) have had the privilege of working with Dr. Nathalie Beauchamp for about five years. 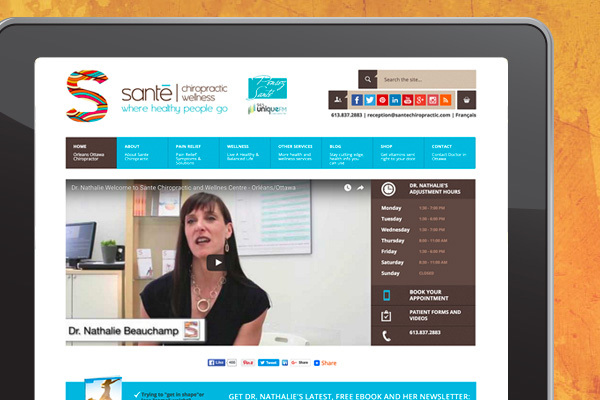 The year 2016 marks Dr. Nathalie’s 20th year as a Chiropractor, and she is known both in Ottawa and online worldwide as a guru of health and wellness. I feel honoured to work with her on a regular basis. One of the neat qualities about Dr. Nathalie is her care for everyone around her – that each person might live as healthy a lifestyle as possible. She has been known during a Skype meeting to ask me what exactly is in the glass I’m drinking from and what brand is it, then pointing out that the “Vegetable Juice” I’m drinking might have an exorbitant amount of sodium… And guess what? She was right!